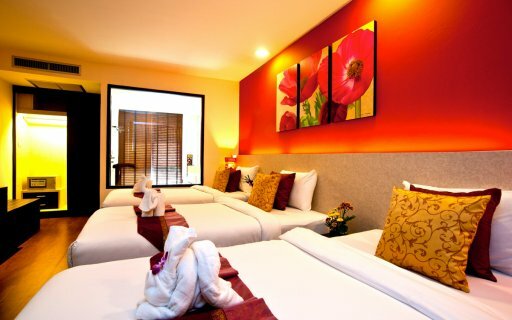 DELUXE TRIPLE ROOM for 3 people. Guests travelling with children may find it very convenient in a room with 3 single sized bed or 1 King sized bed and 1 single bed, to keep all the family members close together. These rooms are perfect for those who want to share the same room without compromising on comfort and convenience which you will experience in our Deluxe Triple Room.